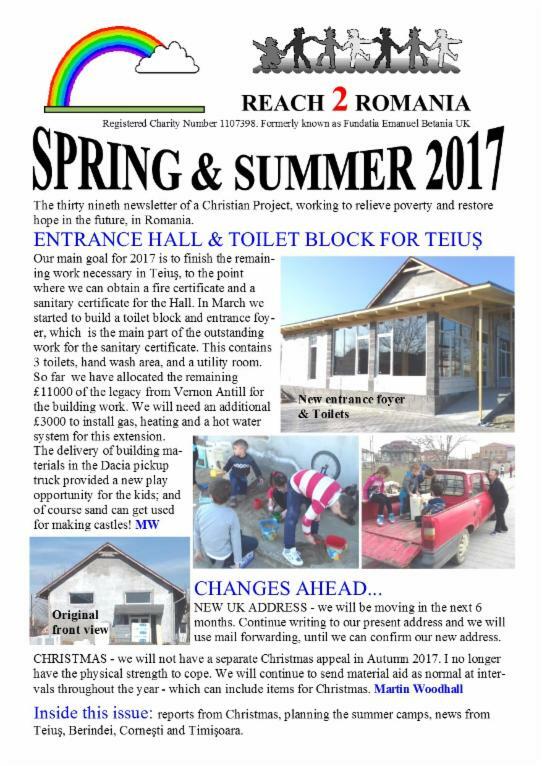 A Christian Project working to relieve poverty and restore hope in the future, in Romania. Charity registered in England & Wales - charity number 1107398. Use the tabs on the left to findout more about us. The tabs above describe our work in Teius, Cornesti, Berindei and Timisoara. Our latest newsletter is Spring / Summer 2019 - Please ask us for a copy.